To date Q1 Scientific have been audited by the Irish Medicines Board (IMB) on 13th May 2013 with no observation noted. A Certificate of GMP Compliance of a Manufacturer was granted on 05th July 2013 (Certificate number: 2013/6939-H). A subsequent audit was completed by the Health Products Regulatory Authority on 08th May 2015 with no observation noted. A Certificate of GMP Compliance of a Manufacturer was granted on 06th August 2015 (Certificate number: 2015/10006-H). 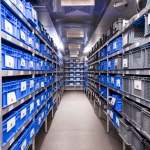 to medicinal products for human use, investigational medicinal products or veterinary medicinal products are not required to name these sites as contract storage sites on the Manufacturers’/Importers’s Authorisation (MIA) held by the manufacturer. 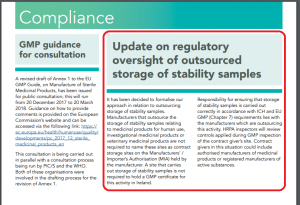 A site that carries out storage of stability samples is not required to hold a GMP certificate for this activity in Ireland’. The full article can be read here. 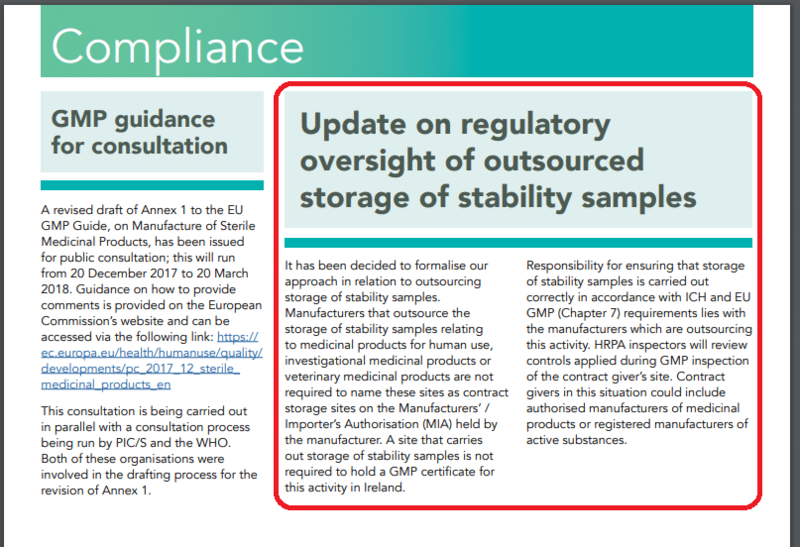 Q1 Scientific Ltd continues to comply with all ICH and EU GMP requirements to ensure that all stability storage samples are stored correctly. As per our internal procedures Q1 Scientific perform three annual self-inspections which covers all aspects of our quality management system, by an independent auditor. Q1 Scientific Ltd is also audited by Clients when required and this will continue to be the process. 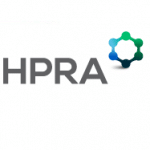 The HPRA reserve the right to audit Q1 Scientific Ltd. at any future date. 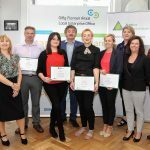 This is also the case with the US FDA (Food & Drug Administration) who have visited Q1 Scientific Ltd. on several occasions as part of client audits with no observations noted. 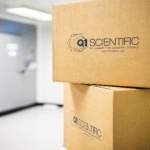 If you require any further information please do not hesitate to contact Q1 Scientific Ltd.